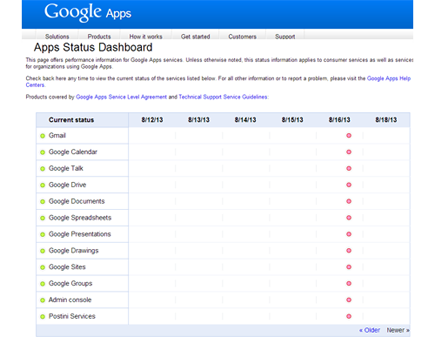 Google experienced a global outage beginning on 16-Aug-2013 at 4:37 PM (Pacific) and lasting 1 to 5 minutes. The disruption impacted all of the company's most popular services, including search, Gmail, Google Calendar, Google Talk, Google Drive, Google Maps, etc. GoSquared Engineering, which provides real-time analytics, said its tracking showed that the momentary Google outage resulted in an immediate, 40% drop in global Internet traffic. 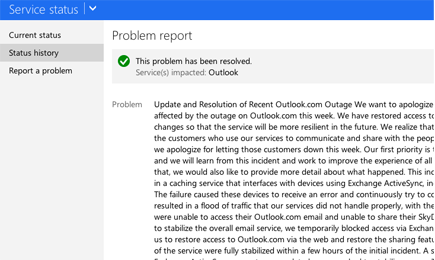 Microsoft experienced a multi-day outage last week impacting its Outlook.com, Calendar and certain SkyDrive services. 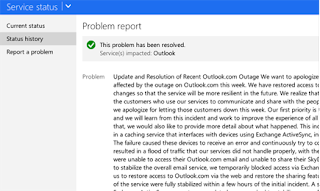 In a status update, Microsoft attributed the outage to a failure in a caching service that interfaces with devices using Exchange ActiveSync, including most smart phones. The company said this failure caused these devices to receive an error and continuously try to connect to service, resulting in a flood of traffic that was not handled properly. Restoration required that some customer be temporarily blocked by Exchange ActiveSync until traffic volumes allowed it. 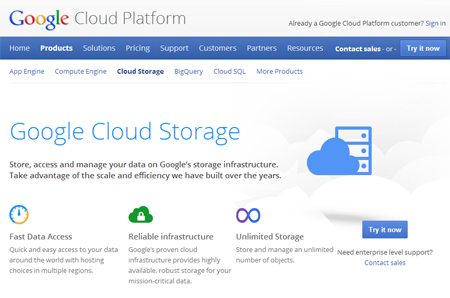 Google Cloud Storage has begun to automatically encrypts all data before it is written to disk, at no additional charge. The company said the encryption is automatic, transparent and without performance penalty. Google manages the cryptographic keys while providing key access controls and auditing logs. Users also have the option of managing keys on their own. Google Cloud Storage is using 128-bit Advanced Encryption Standard (AES-128) for all data and metadata, which is the same level of encryption that Google uses for its own encrypted data. The server-side encryption is already active for all new data written to Cloud Storage. Last week, Google announced Layer 3 load balancing for Compute Engine. This enables users to load-balance ingress network TCP/UDP traffic over a specific set of Compute Engine virtual machines (VMs) within the same region, thereby handling spikes in load without pre-warming. It also ensures that only healthy VMs are used to serve Internet requests through the use of HTTP-based health checks. 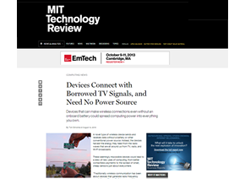 Researchers at the University of Washington are investigating the use of ambient radio wave energy to power communication between small devices, according to an article published in the MIT Technology Review. The communication is made possible by varying the amount of backscatter TV signal that the transmitting device reflects.